Daily use permits required at Boysen, Buffalo Bill, Curt Gowdy, Edness Kimball Wilkins, Glendo, Guernsey, Keyhole, Seminoe State Park and Fort Bridger, Fort Fetterman, Fort Phil Kearney, South Pass City, and Trail End Historic Site, and Hawk Springs State Recreation Area. No daily use charged at Connor Battlefield Historic Site, Medicine Lodge State Archaeological Site, and Sinks Canyon State Park. 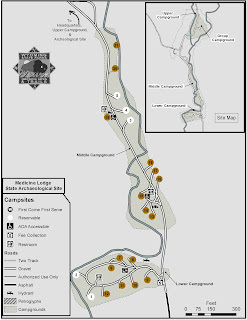 Overnight camping permits required at Boysen, Buffalo Bill, Curt Gowdy, Glendo, Guernsey, Keyhole, Seminoe, Sinks Canyon State Parks, Connor Battlefield State Historic Site, Medicine Lodge State Archaeological Site, and Hawk Springs State Recreation Area. ***Please Note: The Annual Camping Permit does not cover day use. At all parks where day use is charged, visitors need an Annual Day Use and Annual Camping to cover both fees! 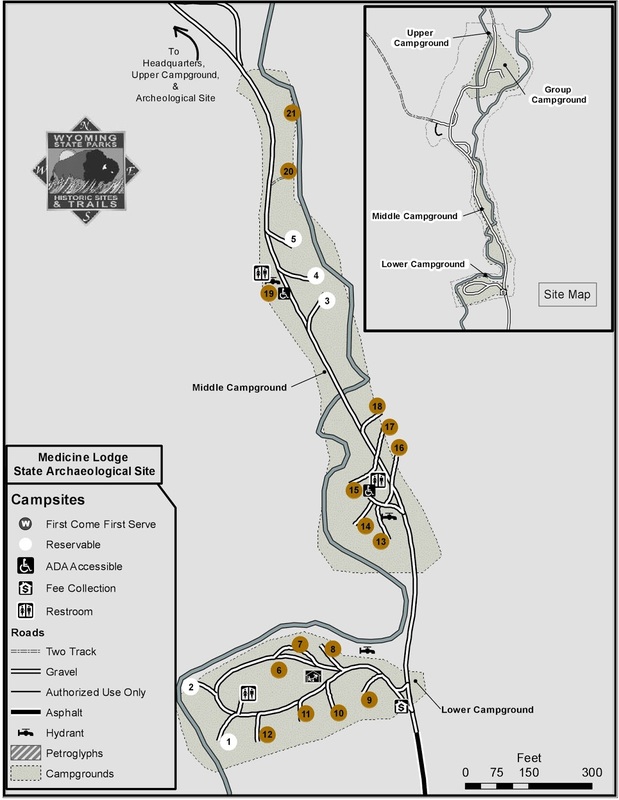 Is located a short distance from Hyattville, Wyoming and is a great archeological site with many petroglyphs, but also has a very nice campground with a stream running through it. Visitor Center is closed seasonally from October 31st through April 30th. Sites are $17.00 for out of staters.